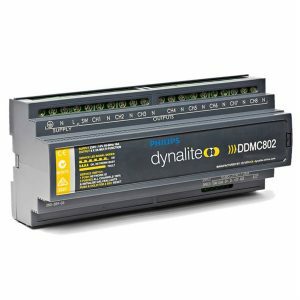 DDMC802 is an eight-channel controller with a maximum load per channel of 2A. 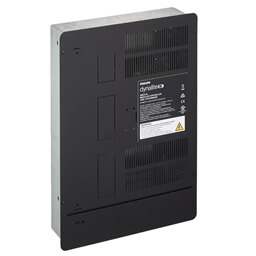 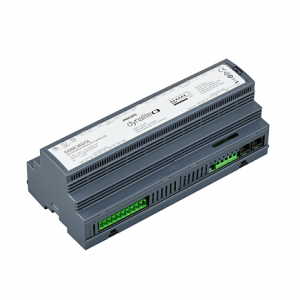 The DDMC802 is an eight-channel controller with a maximum load per channel of 2A. 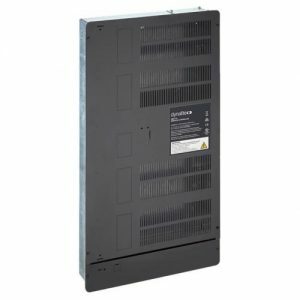 A variety of output modules are available to suit different types of loads and the DDMC802 can accept up to eight plug-in modules, which by their removable design also facilitate ease of servicing. 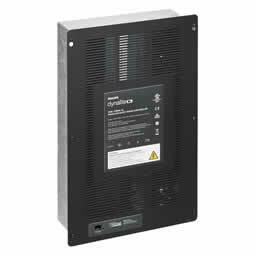 • HF driver control module — Suitable for controlling 0-10V and digital drivers and transformers. 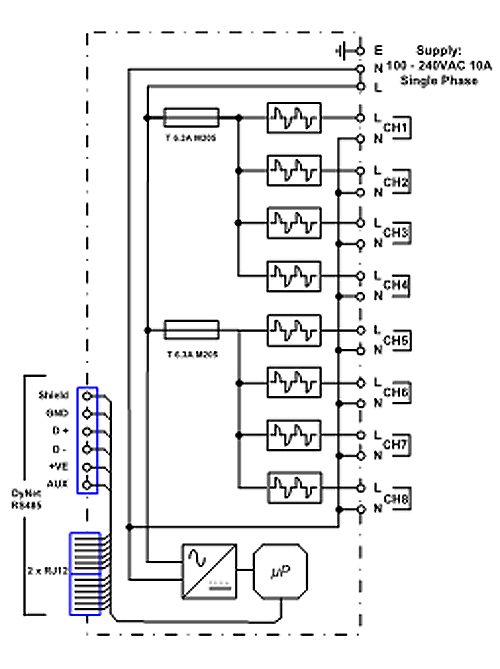 An additional relay control module is required to be paired when controlling 0-10V drivers.